Edible vegetable oil is one of the most important daily food, which is rich in oleic acid, linoleic acid, linolenic acid and other unsaturated fatty acids, as well as zinc, manganese, copper, boron and other trace elements necessary for human body. Vegetable oil can not only provide the necessary calories and nutrients for human body, but also help people to absorb various fat-soluble vitamins, and ensure the nutritional balance of human health and metabolism. Documents have reported that the annual consumption of edible vegetable oil in China has increased from 2.2 kg/year per capita in the early 1980s to over 14 kg/year per capita, and the total oil production in China has reached 2 800 x 104 t/year. Nevertheless, China still has a certain amount of vegetable oil imports every year to ensure the consumption demand of the whole nation. 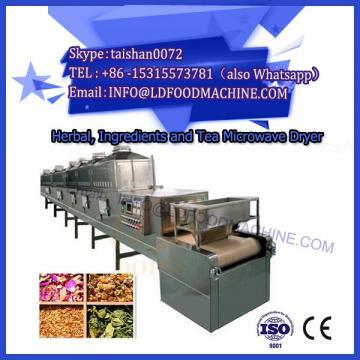 At present, the main methods of preparing edible vegetable oil are still microwave drying, mechanical pressing and leaching. The so-called squeezing is defined as squeezing oil from oil by means of mechanical external force. This process mainly reduces the squeezing space by gradually changing the pitch of the screw and the diameter of the chamber, thus gradually increasing the pressure on the oil, destroying the cell structure of the oil seed, and squeezing oil from the oil. Press out. Leaching is the application of solid-liquid extraction principle, the use of organic solvents that can dissolve oil, through the spraying and soaking of oil, oil in the oil is extracted. For peanut, rapeseed, sunflower seeds and other oils with high oil content, it is also possible to extract some oils by pre-pressing and then leaching the remaining oils in two steps. Pressing technology is mainly divided into several steps: peeling (peanut, sunflower seeds and other oils), crushing, steaming, pressing, hydration and filtering. Crude oil can be obtained by pressing, and then edible crude oil can be obtained by hydration and filtration. China is a big country with a large population and a big import and export country of agricultural products such as grain, oil, fruit and vegetable. The development of edible vegetable oil production and processing technology not only has a long history, but also has abundant resources and expanding market demand. The related technology of vegetable oil production and processing involves chemical industry, machinery manufacturing, metallurgy, refrigeration, boiler and other industries, which requires the joint efforts of multi-industry and multi-field technicians. Thus, China's oil industry has broad prospects and is in the ascendant.